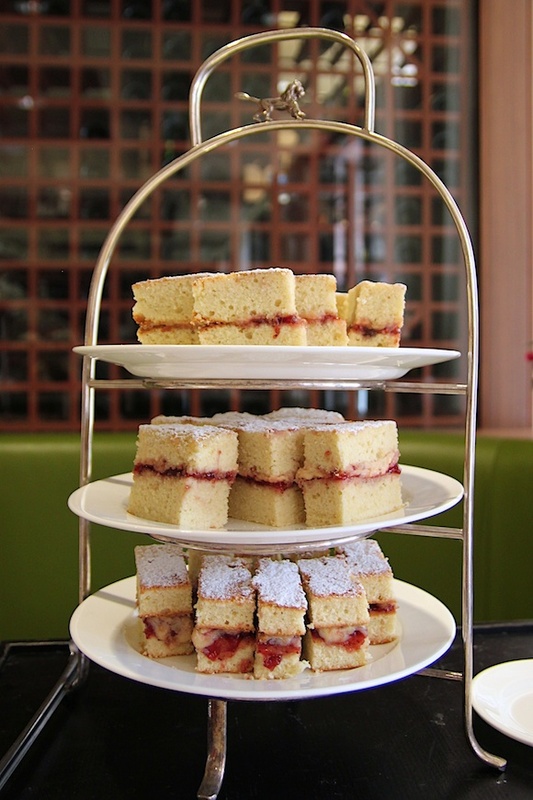 Afternoon tea was one of the things I was most excited to experience during my London trip. After all, it’s quintessentially British and involves two of my favourite things: tea and cute little treats. 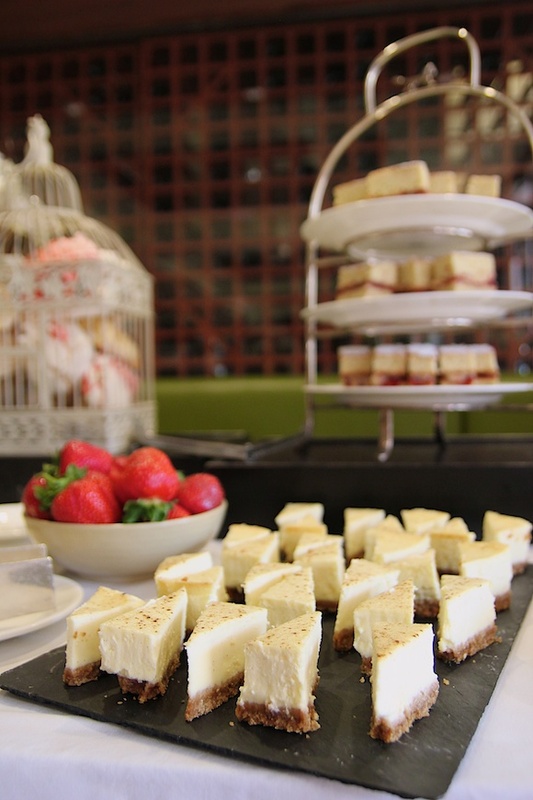 We enjoyed a lovely buffet-style afternoon tea at The Capability, an elegant restaurant at the Hilton London Syon Park, where the wedding was held. 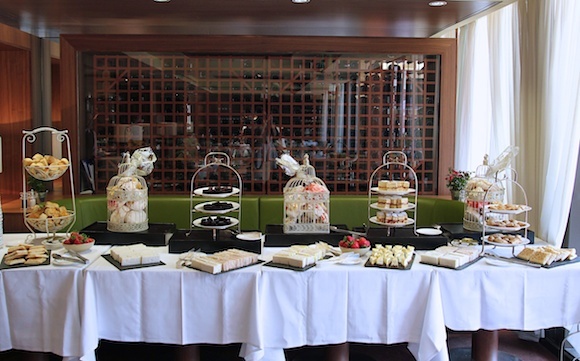 Everything was beautifully presented and traditional English breakfast tea was served. 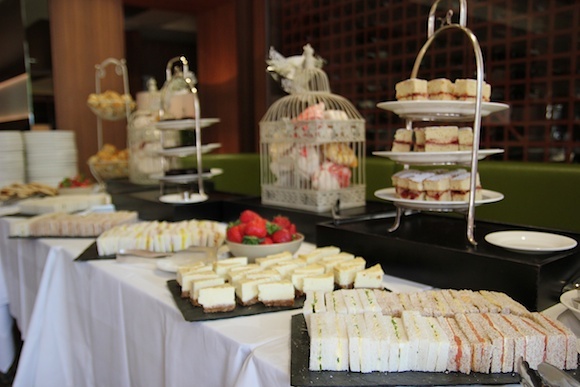 There was nothing short of sweet and savoury treats on hand like yummy tea sandwiches such as cheddar cheese with red onion chutney (that tasted like French Onion soup), smoked salmon with cream cheese and chives, cucumber with celery salt, ham with piccalil, and egg mayonnaise with cress. 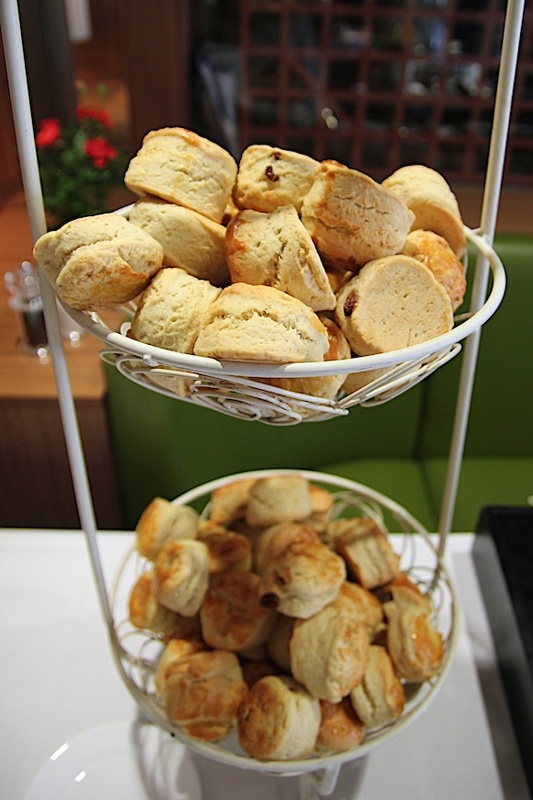 Other delectables included crumpets, cheesecake, brownies, Victoria sponge cake, and my favourite, scones with clotted cream and strawberry jam. I couldn't help going back for seconds and it was such a fun way to spend an afternoon relaxing and indulging in this popular British ritual. They have an amazing patio as well. 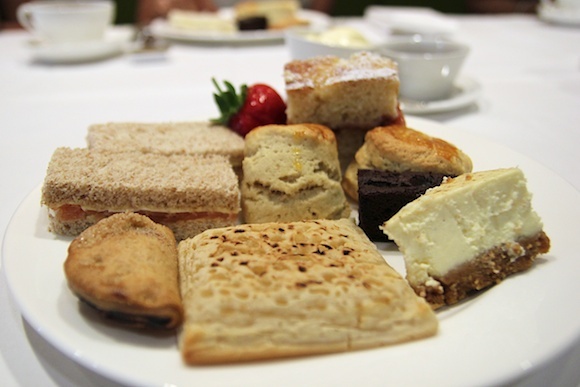 I want to go back to London just for afternoon tea and chocolates! Thanks Christine! We need to catch up soon!